Even as the Trump administration works to repeal the Affordable Care Act, it is taking advantage of one of the 2010 law's provisions to advance its own take on health system innovation. 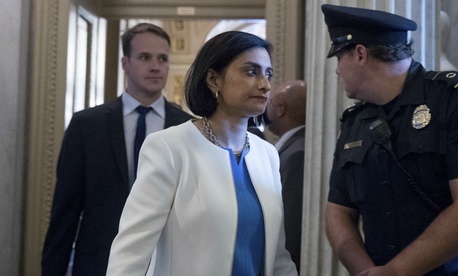 Seema Verma, administrator of the Centers for Medicare and Medicaid Services, on Sept. 20 announced plans to redirect the six-year-old Center for Medicare and Medicaid Innovation within the Health and Human Services Department. Its mission is to test new approaches or models to pay for and deliver high-quality health care more efficiently. Just a month earlier, the Trump approach was characterized by Obama White House Council of Economic Advisers Chairman Jason Furman as “re-embracing the old fee-for-service model. In six months, the Department of Health and Human Services has gone from driving innovation to dragging health care backward,” he wrote with Obama health care adviser Dr. Bob Kocher on Aug. 31. The director of the center for most of its tenure, Dr. Patrick Conway, left in August to head Blue Cross Blue Shield of North Carolina. The center for innovation is already one of the most important energy centers for innovation in the country, and the law already allows successful approaches to be replicated, added Berwick, now a senior fellow at the Institute for Healthcare Improvement in Cambridge, Massachusetts. Verma has a reputation for “shifting more costs to patients, such as co-payments and deductibles. That trend should not be accelerated—patients need more help paying the bills, not less,” Berwick said.